Yes! 2019 season is coming. We’ve been busy for several months now, creating an epic season full of cool innovations. We’ll let you in on 5 innovations now! There are 10 new and/or updated obstacles! Check them out here! These new obstacles and, of course, many classic ones will be on a new course. Which distance will be your next challenge? In case of doubt: Go for more! We are introducing Level Yellow: Level differences at multiple obstacles! A new finish shirt is waiting for you, of course! There are new and fun festival grounds. We’ll make sure you can enjoy your top performance long after the finish! We’re looking forward to seeing you dive into the mud again this year and finish like a hero or heroine! Bite the bullet and register quickly, because the start waves are filling up and ticket prices rise on January 29. Need any more inspiration? 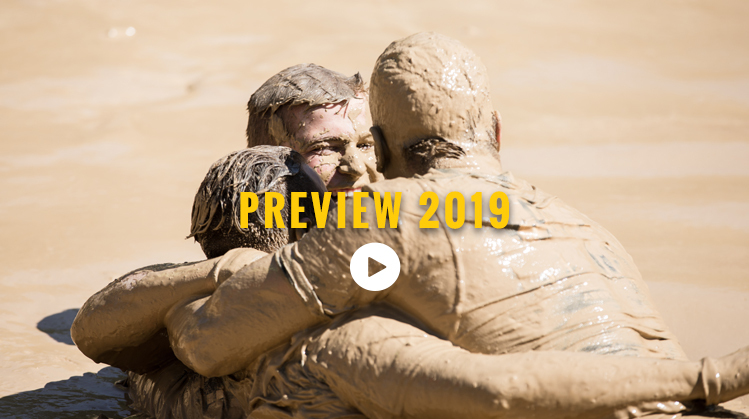 We’ll show you in 1 minute what you can expect at Mud Masters in 2019!